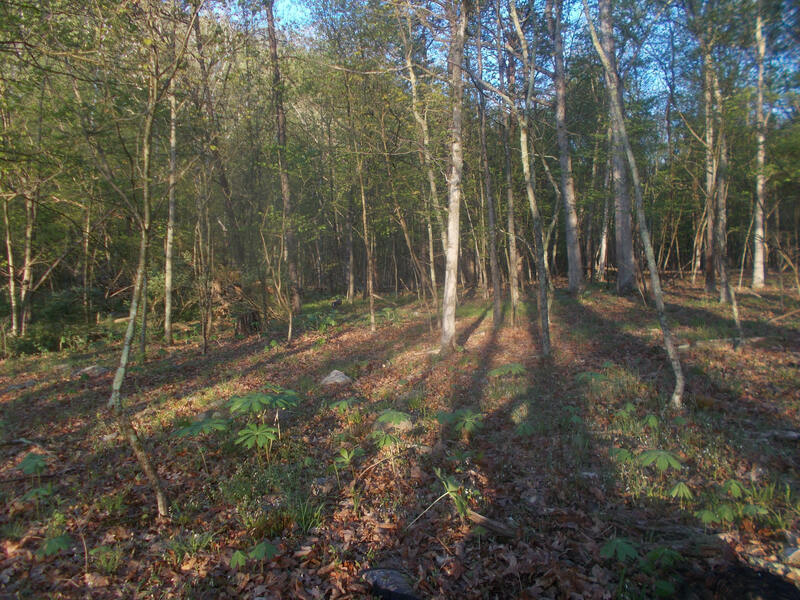 The main property that I have hunted turkeys on is in the process of being sold. The landowner passed away last year and his wife is selling and not allowing anyone to hunt or fish on the property. I had done well there and was well acquainted with the woods there and the roosting and travel patterns of the birds. A good friend of mine in Pennsylvania invited me to hunt on his property so that's where I have been this past week. Unfortunately, that all came around after the deadline for the second spring turkey tag so I was only allowed one. Wednesday morning around 7 am I heard some gobbling high up on the hill in front of me. I called back and so did he. As we talked back and forth he slowly came down the hill but when he hit the creek bottom he went quiet. I figured he was interested but would come in on silent mode. He did. 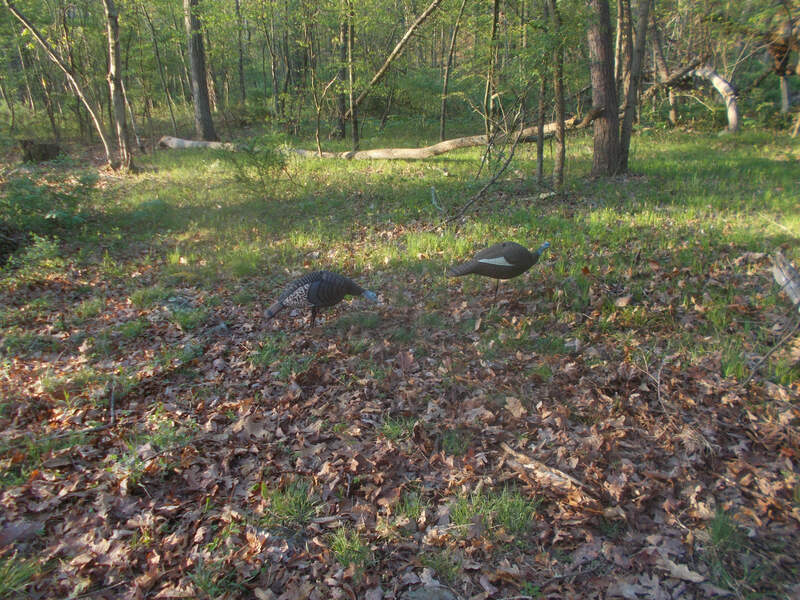 I noticed movement to my left as he made his way towards the decoys but then suddenly turned and walked away. He and his red head reappeared above the decoys but then wandered off. That's when I noticed he was a jake in the company of two others. The walked around for awhile and then walked towards the decoys. One stopped on top of a log and stretched his neck to look around. 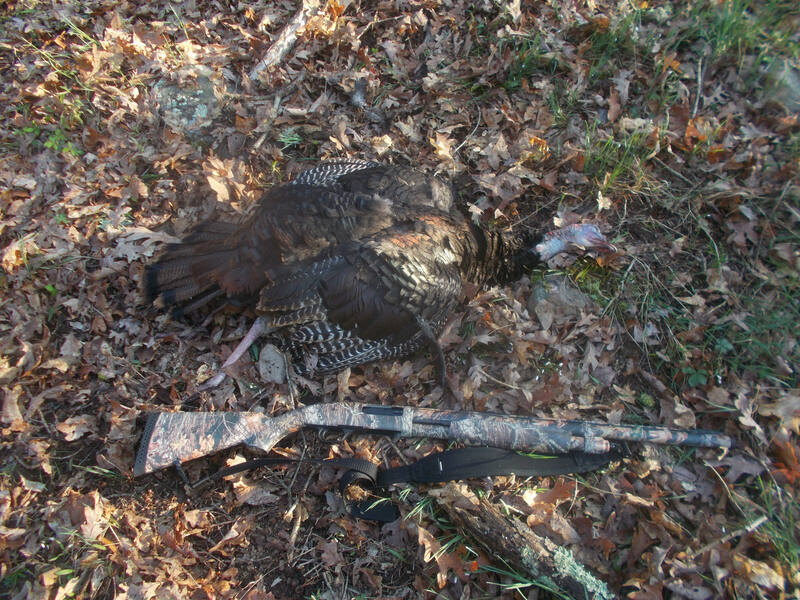 When the lead bird was inside the zone, the Mossberg 835 with the HS Strut Undertaker choke along with the Remington Nitro #6's let him have it and he was down for the count! My first Pennsylvania bird! I was really excited! All I can say is that when a turkey is coming to your calls towards your decoys, my heart begins to race, I can scarcely breathe and my heart feels like it is going to bust out of my chest! I love the rush and it's like nothing else! Well done BC, congratulations! Yeah, no less exciting than having a nice buck come in, good to get the circulation going! Great Tom and story , congrats on both . Congrats! Glad you got to hunt for one. It has been quiet around here, the bobcats have them scared to death it seems!! Congrats on a great story and nice bird! Congratulations! Have you been to the doctor recently, you seem to have a full blown case of "turkey fever"? I never caught that particular bug, I've killed a few turkeys but that was the result of having a bad case of "deer fever". The account of the hunt made me feel like I was right there beside you watching it unfold! 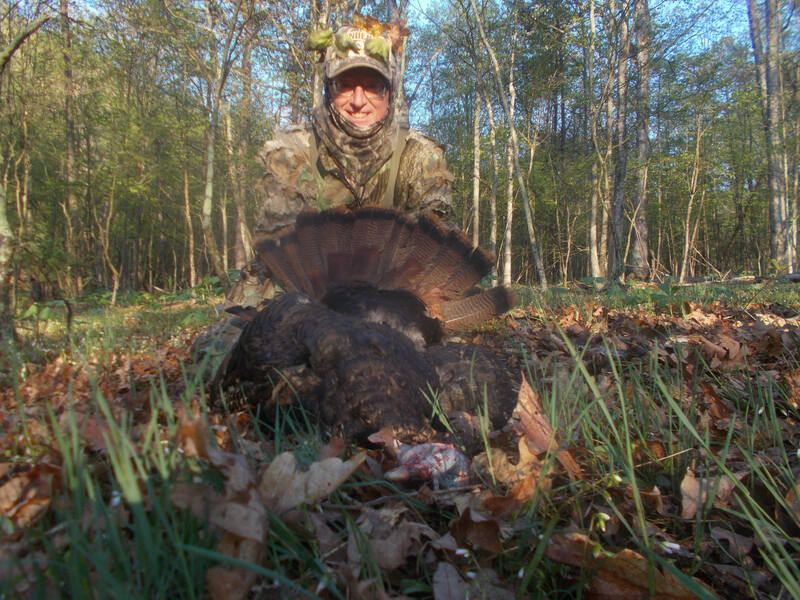 Congrats on your Pa bird Bearclaw good looking bird!! You still got a Md another Md tag to fill right? I do have another tag! Was out this morning after a thunder chicken. Had two gobbling and I was calling when suddenly three deer appeared, saw me, blew and snorted through the woods and the toms shut down. Must have recognized the danger from the deer I assume. Will be out again this week!